Times of Youth: For those who do not know about you, how would you tell them about yourself and your work in brief? Sharmeen Obaid-Chinoy: My name is Sharmeen Obaid Chinoy and I am a filmmaker. I have been working in documentaries for over 15 years now and I am just venturing into animation with ‘3 Bahadur’ – Pakistan’s first animated feature film! Times of Youth: Your upcoming ‘3 Bahadur’ movie’s trailer has already gone viral. Tell us who named it ‘3 Bahadur’ and where was this concept derived from? Sharmeen Obaid-Chinoy: We came up with the name ‘3 Bahadur’ after several discussions were held about the name. The concept was derived from the fact that children are ‘Bahadur'(brave) generally and we wanted to empower them to believe that they can do whatever they put their minds to! Times of Youth: What inspired you to make an animation movie for children? Sharmeen Obaid-Chinoy: I had wanted to do something for children for a long time. Pakistan has a very young population and a booming media industry, but we have stopped producing quality content for children. All of our content is imported, from animation to variety shows, and thus our youth grows up with mentors and heroes that are far removed from what they see around them in real life. Times of Youth: Despite of the announcement of the movie being last year and there being a span of 6-8 months until its release, the audiences’ eagerness regarding the movie has been enormous and still is. What do you have to say about that? Sharmeen Obaid-Chinoy: When we started the project 2 years ago, we weren’t sure how the material would be received. But we held numerous focus sessions with children between the ages of 6 to 16 years, boys and girls, across socio-economic divisions and we fine-tuned our script according to their feedback. We recently released a teaser and we were amazed by how many people responded positively and expressed interest in knowing more about the project. This is because ‘3 Bahadur’ is a quintessentially Pakistani story, which resonates with the local audience. For the first time, audiences will see streets and characters that look more Pakistani – from the familiar calligraphy that is painted all over the streets, to the criss-crossing wires that we have gotten accustomed to seeing around local neighborhoods. Sharmeen Obaid-Chinoy: Armed with courage and superpowers, three fearless friends set off on an epic journey to save their town from the criminal overlord Mangu and his band of thugs. Times of Youth: This being the first Pakistani feature-length animation film, what difficulties were faced while creating it in an industry which is still so raw? Sharmeen Obaid-Chinoy: The hardest parts were definitely in the beginning, especially since none of us had worked in animation before. It was an uphill climb – putting together a team, learning how animation works from the initial sketch to the final shot, and diving into a medium that is both expensive and time consuming. But we found our pace a few months into the project and what surprised me was the ease with which we found exceptional illustrators, writers, animators and visual effect artists. Times of Youth: Considering the fact that you are quintessentially an Academy and Emmy award winning documentary film maker who is venturing for first time in the field of animated film making, what areas required most of your attention and to work the most on? How easy/challenging was it for you? Sharmeen Obaid-Chinoy: Animation is a beautiful medium for fiction storytelling because it offers a lot of scope for creativity and imagination. On the other hand, documentary films find their strength in a honest and realistic depictions of the world. I was nervous because I had never worked in animation before, and documentary films are very different in terms of content and style. Seeing the characters that had only existed in static images come to life with their own quirks and mannerisms was an incredible experience! Times of Youth: Why did it take so long for Pakistan to make an formal big screen animation film? Sharmeen Obaid-Chinoy: Pakistan has created animated content for many years, but the industry is overwhelmed with product driven content, in which the focus is on selling rather than story telling. We need to move away from this model, and put the narrative first. Making an animated film is costly wherever you are – the nature of the medium is inherently costly and incredibly time consuming. Unfortunately, unlike films, the amount you spend is directly related to the quality that you can achieve. Pakistani animators are skilled enough to produce content that mirrors Pixar in terms of quality, but you need the budgets and timelines that will support such work. We haven’t done our animators justice in this country, and have not given them the space and resources required to show off just how talented they are. We have all the ingredients to one day be a nation that produces multiple animated films every year, and I am certain that ‘3 Bahadur’ will play its own small role in expanding the industry and getting more people interested in what animation has to offer. The most funny thing about life: It happens when you least expect it to. Times of Youth: Going by the teasers, ‘3 Bahadur’ looks like a story of 3 rather brave children based in fantasy format. Why not base it on something more realistic? 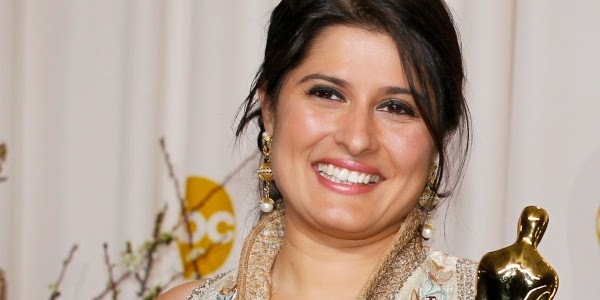 Sharmeen Obaid-Chinoy: ‘3 Bahadur’ is first and foremost an animated film that must be enjoyed. The great thing about animation is that on the surface your story may be about princesses and mystical creatures but there is always room for subtle messages and themes to run in parallel. ‘3 Bahadur’ seeks to do just that. Times of Youth: According to you, what is/are the USP/s of the movie? Why should families flock the cinemas to watch ‘3 Bahadur’? 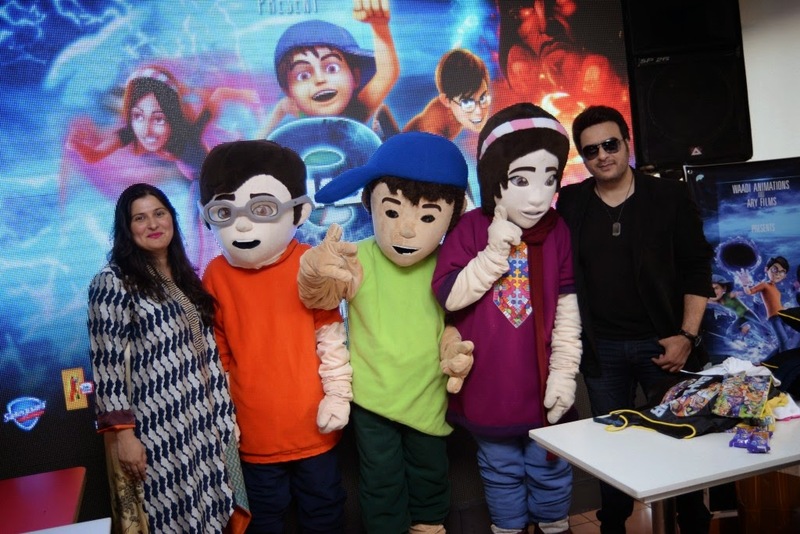 Sharmeen Obaid-Chinoy: 3 Bahadur is Pakistan’s first animated feature film! Pakistani animators are skilled enough to produce content that excels in terms of quality. ‘3 Bahadur’ is a step in the right direction, but we still have a long way to go. Times of Youth: What lessons would be learnt by the audience, children particularly, on watching the movie? In other words, what would be the take-home message? Sharmeen Obaid-Chinoy: ‘3 Bahadur’ is an epic journey of friendship, teamwork and courage that hopes to inspire the next generation to realize that they too hold the power to change the future of Pakistan. Times of Youth: A video game based on the film with the same title has also been released for Android and iOS. What impact do you think will it have on the box office prospects of the film? Sharmeen Obaid-Chinoy: For the first time ever in Pakistan, we created a game to be released with the movie. This game allows children to interact with their favorite characters on their tablets and cellphones. The game has been a huge success! It has been trending on Android and the total number of downloads has reached over 85,000. The ‘3 Bahadur’ game provides a single player experience, in which players take on the role of Kamil, Saadi or Amna to defeat the thugs of Roshan Basti. Throughout the 5 levels of the game, players encounter different thugs and battle it out in exciting missions in hopes of restoring peace to the colony. Times of Youth: As a filmmaker, what do you see yourself doing for your future projects- animation or documentaries or both or something totally different from your current genre? Sharmeen Obaid-Chinoy: Going forward, I see myself working in both animation and documentaries. SOC Films has partnered with ARY Films to create a new production house, Waadi Animations, which will solely produce animated content. We have our second project in the pipeline at the moment, and hope to expand the amount of animated material that comes out of Pakistan. I have always expressed an interest in live action films, and continue to develop ideas and stories with my team. I also recently finished working on ‘Song of Lahore’, a documentary film about a jazz ensemble in Lahore that is trying to revive classical music locally. This documentary was screened at Tribeca Film Festival this year. I am also in the final stages of ‘Peacekeepers’, a film about Bangladeshi policewomen who are serving as peace-keeping forces in Haiti with the UN. Times of Youth: Your views about the revival of Pakistani cinema and its status now as compared to what was 5 years ago- what kind of evolution is Pakistani film industry witnessing today and what can be done to improvise it further as per your opinion? Sharmeen Obaid-Chinoy: In a country of 180 million people, the resurgence of cinema is occurring at a rapid rate. An unprecedented amount of multiplexes are springing up all over the country to cater to growing demands for quality entertainment. If we can sustain the interest being created now, we can achieve exponential growth over the next 5 years. Sharmeen Obaid-Chinoy: For me, the time that I spend with my family are the moments I cherish the most.